In today's business world that consists of different types of data, clients and servers, handling various network connections as an individual traffic stream does not allow network administrators the necessary flexibility to allow for optimal business application performance. By not utilizing bandwidth management, a network administrator could be required to block critical bandwidth applications like video and audio streaming. Luckily, with an effective bandwidth management program, system and network administrators are able to control access to network traffic so that applicable applications, users and groups are permitted to connect to the appropriate Internet resources. For example, a marketing department will be able to access important applications and websites, like YouTube, where other organizational members will have restricted access. By managing your organizations bandwidth at multiple levels, Nebero Systems has quickly become one of the most sought after software providers in the entire industry. With our easy to use web based console, we are continually available to determine specific bandwidth architectures in order to break up accessible bandwidth between various protocols, applications, departments and users. Nebero utilizes effective asynchronous bandwidth management algorithms that are used to create both shared and isolated bandwidth groups in order to achieve optimal use. Our specialized Quality Of Service (QOS) is determined based on different applications and protocols so that we can provide maximized results for ERP, Email, VoIP, CRM and other specific business applications. Through our Layer 7 identity-specific bandwidth management system, Nebero is able to provide optimal bandwidth accessibility to organizational applications over various deployments. In addition, our world-class bandwidth management software offers a real-time look into user specific rules and protocols in terms of specified bandwidth usage. By discovering different levels of traffic, the Nebero bandwidth manager is able to provide a real-time bandwidth monitoring of application, network and user traffic throughout various Layers in order to determine applications and users that use bandwidth excessively. Our bandwidth management software also gives you real-time notifications of unauthorized usage and potential threats, allowing for an immediate administrator response against jeopardized devices. Restricts bandwidth abuse of using unpermitted protocols and applications. Allows for user, site and application quota assignment. Provides different departments and users with bandwidth usage access. Monitor and record bandwidth usage by each network user. Diagnose specific bandwidth issues and network slow-downs. 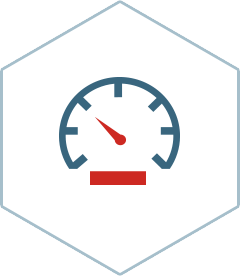 Restrict Internet hosts to specific hourly, daily, weekly and monthly bandwidth allocations.